These awards are a respected endorsement and therefore valued by most top advertisers. The survey monitors consumers’ usage and rating of brands across a number of categories, examining the brand’s standing both in the marketplace and in people’s minds. Chairman of the Brand Council of South Africa, Dr. Sean McCoy was quoted saying that Pick n Pay is an interesting surprise in the retail space and in the overall brand performance this year. The retailer featured in the Top Ten Brands and won first place in the ‘Convenience and Grocery Stores’ category, which is a significant achievement since it last finished first in this category five years ago. Y&R managing partner of Team Pick n Pay, Alan Schreiber commented on this, saying “Pick n Pay has made Y&R an integral part of the business, and considers Y&R as a true strategic partner. This partnership cultivates a trustworthy environment for the client to share their real challenges. With these regular insights, we’re able to create work that’s well informed and well derived and, therefore, effective. We’re so proud to be Pick n Pay’s partner and especially proud to have been part of their team as they regained number one status in this category”. Pick n Pay Smart Shopper took first place in the ‘Loyalty Programme’ category, which Schreiber is elated about saying, “Y&R and Pick n Pay worked together on launching this game-changing project in 2011. It was the first loyalty programme across an entire basket in South Africa. Y&R collaborated with a few other agencies to produce a powerful and all-encompassing campaign that created the millions of smart shoppers. We look forward to continuing to help our client build a loyalty programme that adds more value to consumers when they’re spending their money with Pick n Pay. Furthermore, Pick n Pay was also considered in the ‘Brands/companies that do the most to look after SA’s environment and natural resources’, earning itself a third place Grand Prix. Africa’s largest integrated communications company, Telkom was named the third most desired company to work for and received a Grand Prix. What’s more, Telkom ranked in the best performing brands in the business category, taking third place under the ‘Telecoms Service Providers’. This result shows a great improvement from sixth place last year. Wayne Zwiers, Y&R Managing Partner of Team Telkom expressed his joy around the brand’s success, saying, “Telkom is entering a new space in the market with its strategic changes in order to best serve its customers. 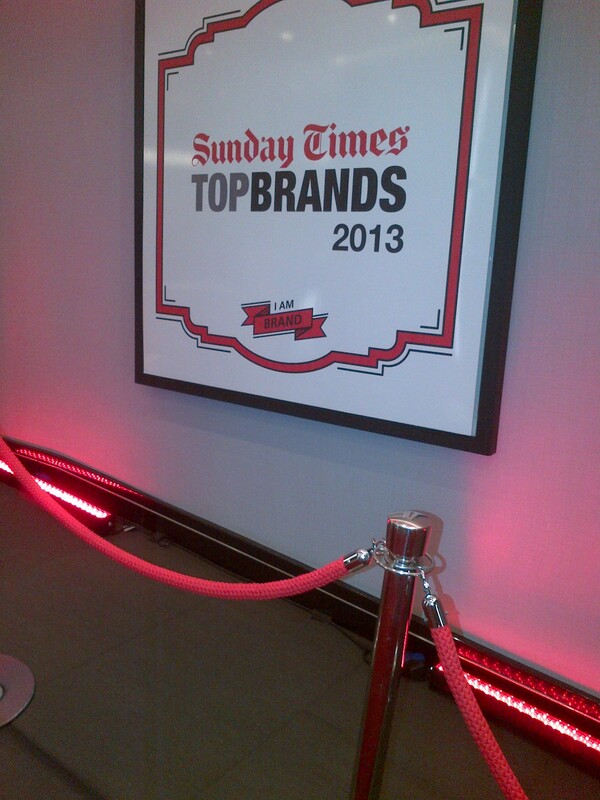 We at Y&R are excited to be a key player in the transformation of a brand with such a strong South African heritage”.